This week I finished two books. One I loved, one not so much. The one I loved: The Running Dream- I did not want to read this one in the beginning, however, I had no other choice for what was available for check out at the time. I instantly fell in love with it. Jessica’s characters was well developed and the story line had me cheering for her in all of her struggles. What a powerful uplifting read! The one I didn’t love so much: Never Fall Down. Prehaps, it was the subject matter. At first as I read I thought I might recommend it to the middle school students I work with that have an interest in the Holocaust. However, I found it to be too graphic and think I would be uncomfortable recommending it to students in this age group. I finished 1 this week: Sparks: the epic, completely true blue, (almost) holy quest of Debbie. I wasn’t very excited to start this one, but ended up really enjoying it. I don’t often choose to read humor. I thin that’s something that I’ve especially enjoyed, although there aren;t a lot of humorous books on the list. Now that I’ve read 25, I’ve decided to concentrate on finishing the Morris & Alex titles, shooting for 1 a week until the Challenge ends. I hit 20 this week by finishing Every Day (loved lots of characters, still if-y about the end) and The Fault in our stars (was hard to drive at times but overall a very heartfelt story with amazing characters!). So glad I decided to do both of these!! So I’m am partially through a short story book and a graphic novel. I’ve narrowed down my final novels to chose from. Although there are still plenty I want to read from the challenge, I may not get to all of them after the 25. I would still like to do a couple of extra especially those I probably wouldn’t push myself to read if not for the challenge. Nicole, I am right there with you on The Diviners. Don’t get me wrong, I listened to it and thought the performance was quite well done but I really had to power through all FIFTEEN discs. I wasn’t sure what it was about the book that just made it difficult to me until your comment about “connecting to the story in fits and starts.” Just when you would get interested in a subplot she would switch off into one of the hundred other subplots and I’d have to change gears. If I hadn’t been listening to this book for the challenge I don’t think I would have finished it but I soldiered on and after disc EIGHT I determined that I could stick through until the end. Currently I’m listening to Code Name Verity which is not a book I thought I would get into. I’m so glad I picked it up because I am really enjoying it so far. Now I want to go look up pictures of WW II planes. As far as book books go I finished Enchanted and Friends with Boys. I loved the romance part of Enchanted and definitely wanted more–especially about Wednesday and Velius. Friends with Boys was enjoyable as well. And so the reading and listening continues. I’ve made it a lot further than I did last year so I’m patting myself on the back, very gently. Happy reading, all! I finished reading Pure by Julianna Baggott this week, which (no joke) I have been reading since this challenge started. It was SO HARD for me to get into it at first, so it kind of falls under the ‘not enjoying so much’ clause. I did end up liking it in the end, and I think I’ll read the sequel, but man, was it hard to get into. I did bring my total up to 24 though! Almost done! I added four books to my finished pile this week, bringing my total to 27. I enjoyed all of the books I read this week. Spider-man and Friends with Boys were both well done graphic novels (and quick reads–yay). Steve Jobs: The Man Who Thought Different was informative and would be accessible to younger readers. Tell the Wolves I’m Home was incredible. One of my favorites of the challenge so far. Next up is One Shot at Forever. I’m not into sports at all and this is one I would not pick up without the challenge. I hope to be pleasantly surprised. I finished two books this past week and have started listening to two others. Books that I finished include Aristotle and Dante Discover the Secrets of the Universe and The Running Dream which I really loved. I probably wouldn’t have come across The Running Dream anytime soon without this challenge, but I thoroughly enjoyed it. I just hope there might be a sequel so we can see how far Jessica goes with her running (and who her anonymous donor was, although I think I already know that one). For the audio books, I’m listening to two I’ve already read prior to the challenge. My daughter and I are listening to Wonder, and I’ve also got The Watch That Ends the Night going on the side. It is interesting to listen to these stories, though, especially the Titanic one because there are so many different characters. It’s almost better to listen to it than to just read it yourself because the voices add to the story. Hi, So this week I finished three: Page, Squire, and Lady Knight. They were all very good. I really wished I could have been more into The Miseducation of Cameron Post and The Diviners. I actually happen to adore most of Libbra Bray’s books, it just seems that this one was long winded when it didn’t need to be. In the nicest way possible of course. Sometimes I get lost in the pages of longer books, but don’t actually know what is going on. I found this happening to me constantly in The MisEducation. So, I had to reread many parts of the book. All in all, it was pretty okay. 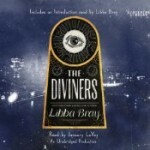 I totally agree with your assessment of The Diviners and Libba Bray. I always have high expectations for her books and end up a bit disappointed. Last week I read Annie Sullivan and the Trials of Helen Keller and really loved it! The art was incredibly well done and really served the story. I’m currently in the middle of Aristotle and Dante and it is SO GOOD. The writing is beautiful! Finished just one this week, BOMB – really compelling and horribly depressing and also uncomfortably timely this week. Still working on THE DIVINERS on audio – this is a reread for me (read the book, loved it) but I’m really enjoying it again on audio. Hope to finish it this week; have THE FAULT IN OUR STARS lined up next on audio (another reread). Am currently distracted in print by FRAGMENTS (sequel to PARTIALS by Dan Wells), but my hold for ENCHANTED just came in, so hopefully will start on that one soon. The hardest part is yet to come as I’m prepping to attend TLA this week and am pretty sure I’m going to be distracted by shiny new ARCs. #12: Prom and Prejudice by Elizabeth Eulberg – Super Cute P&P adaptation set in a posh boarding school, loved it! #13: Enchanted by Alethea Kontis – A twist on the Frog Prince, very lovely book. It’s been a couple weeks since I checked in and, with work and school, I haven’t had too much progress, but I did finish listening to the Wonder audiobook, which I really enjoyed. Such great characters! I’m currently at 14 titles.I’ve started reading Every Day and plan on starting the Code Name Verity audiobook on my drive tomorrow. With only one big paper due for school next month, hopefully I can kick this into high gear! Finished #22 this week…The Last Guardian by Eoin Colfer. I haven’t listened to an Artemis Fowl book in ages and almost skipped this one because I thought since I haven’t done any book since The Arctic Incident, I wouldn’t be able to follow. There were a few “Whoa!” moments…Butler’s sister, Artemis’s brothers, figuring out the three Opals. But I was able to pick up and enjoy Colfer’s storytelling, made all the more enjoyable by Parker’s narration. Currently I’m finishing up First Test, which I’m really enjoying. I’ve been listening to Wonder while I run and go grocery shopping, and I just started Personal Effects in the car today. I also just picked up a whole stack from the library. As I read people’s reviews here in the check-ins, there are some I just really want to read. To the point that when I stopped at the public library last week, the woman said, “Oh good. We can clear off your shelf.” Of course, I was gung ho for all of those last week and today you all have me wanting to move Running Dream to the top of my list. I just finished reading Every Day and thoroughly enjoyed it. As well as Monstrous Beauty. I loved the truly unique idea behind both stories and always appreciate a story line that surprises me with the direction it takes. I just started Girlchild and am already having a hard time picking it up. It feels a bit disjointed, but I think the current state of national affairs makes me regret this choice, I think I need something a bit more uplifting. Does such a book exist on the Hub Challenge? I loved Enchanted, which isn’t necessarily uplifting, but it very escapist. It’s kind of a mishmash of grimm fairytales and is delightful in my opinion. If you like fairytales or fantasy this might be the right thing for you right now. I’m on books 23 and 24 with Where’d You Go Bernadette and Diary of A Wimpy Kid: Cabin Fever. Just finished Me, Earl and the Dying Girl which was meh for me, not special. I felt the same way about Gone, Gone Gone. I agree with all the people who expressed surprise that Where’d You Go Bernadette is considered some sort of Teen crossover. Yes, the main character is a teen I guess, but the story is SO much more about the mother, and I feel like this is not something I’d recommend to a 15 year old. Well I’m just about at number 25 and very excited! I’m going to keep going after 25 if I can, since there are so many great-looking books on the list. I’m at least going to keep all of your comments in mind for the future. Keep up the good work everyone! I am still reading Ten by McNeil. I have also started Love and Other Perishable Items by Buzo. I am enjoying it very much. It is funny and reminds me of the agony of teen crushes. Oh, the angst! I finished two this week, In Darkness and The Pregnancy Project: a Memoir. I though both were just okay, hence the 2 star ratings. I’m at 29 read now, and am listening to Wonder, but haven’t decided what to read next. I have missed a bunch of check-ins and am now up to 30 titles read! My most recent favorite was Mr. Penumbra’s 24-hour Bookstore, because I enjoyed it on so many levels. Deep questions about immortality and quirky science-fiction-y elements, too. Plus, what self-respecting bookworm wouldn’t love a book about a magical bookstore? I plan to keep going and hope to read all 83 titles. Currently I’m reading Name of the Star, which is a reread (I read it when it first came out) and I’m falling in love with it all over again. I’ve started reading Raven Boys and am really liking it! And, I couldn’t listen to The Diviners, either Nicole. Someone did tell me that reading it was better…. Ugh! I am SLOWLY working my way through “Heist Society” and hoping it will turn into something better than a bad Olsen twins TV script. Sigh. This week I finished Where’d you go Bernadette which I really enjoyed. In some ways, like it says at the end of Mr. Penumbraâ€™s 24 hour bookstoreâ€¦it was the right book at the right time. Not that Iâ€™m planning on becoming agoraphobic, getting accidentally mixed up with the Russian Mafia or hightailing it to Antarctica any time soon. I would recommend this book to older teens (12th grade) as most of the action relates to adults even though there is some narration by the young teen daughter. Iâ€™m also listening to the Diviners which is so creepy. Maybe Libba Bray was channeling Stephen King with this one? I am amazed by the talents of the actress acting out all of the characters. I am only on CD #3, so I have a ways to go. I finished Stargazing Dog, so short, so poignant. Dog/animal lovers will love this one. And Iâ€™ve started Friends with Boys. Homeschooling , a missing mother and an inexplicable ghost, if my children will give me 30 minutes to myself, I can finish it and find out how it all fits together! That will bring me to 14! I just finished Code Name Verity and was surprised at how much I LOVED it! How brave, courageous, and strong these women were brought me to tears. I was very sad to have their story end. You can find my list at: http://www.shelfari.com/Best-Of/10671/HUB-READING-CHALLENGE. I am at 12 now. I’m going to start The Diviners, I Hunt Killers, and Dodger this weekend. We just received a new shipment of books in our school library that had a lot of books that are on the HUB Challenge List so I was very excited-it was like Christmas!